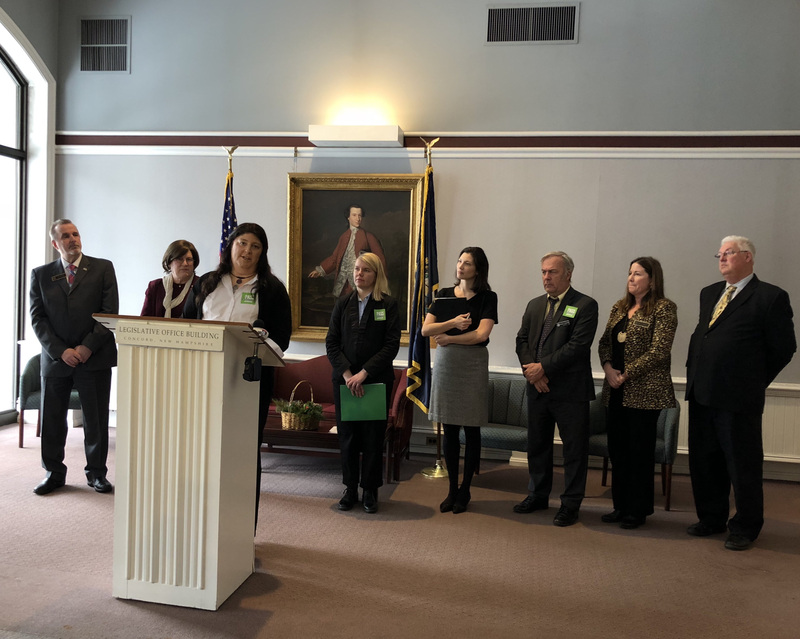 CONCORD, N.H. — A bipartisan coalition announced support today for HB 1319, a bill to provide protections for transgender Granite Staters in employment, access to housing, and public spaces like restaurants, shops, and government buildings. The House Judiciary Committee has scheduled a hearing date for HB 1319 on January 31, 2018 at 1 PM, signaling strong momentum behind this landmark legislation. Freedom New Hampshire is a coalition of businesses large and small, law enforcement, anti-violence advocates, faith leaders, and transgender residents and their families working to introduce Granite Staters to their transgender neighbors and to make the case for equal opportunity and freedom from discrimination. Advocates gathered at the State House Legislative Office Building for a news conference today, January 17. Live video feed can be viewed here. HB 1319 is sponsored by Representative Ed Butler (D-Hart’s Location) and cosponsored by 14 of his fellow Representatives and Senators. Rep. Butler is joined by 12 Republican cosponsors, demonstrating strong bipartisan support for this measure. This same legislation (then HB 478) passed the House Health and Human Services Committee in 2017 by an overwhelming margin of 15-2. It was then tabled by House leadership before a full floor vote took place. The upcoming Judiciary Committee hearing will provide an opportunity for a diverse group of advocates to share their support for nondiscrimination protections. HB 1319 has been endorsed by some of New Hampshire’s leading business, public safety and women’s rights groups, most notably the Business and Industry Association, the New Hampshire Women’s Foundation, the New Hampshire Coalition Against Domestic and Sexual Violence, and the New Hampshire Association of Chiefs of Police. 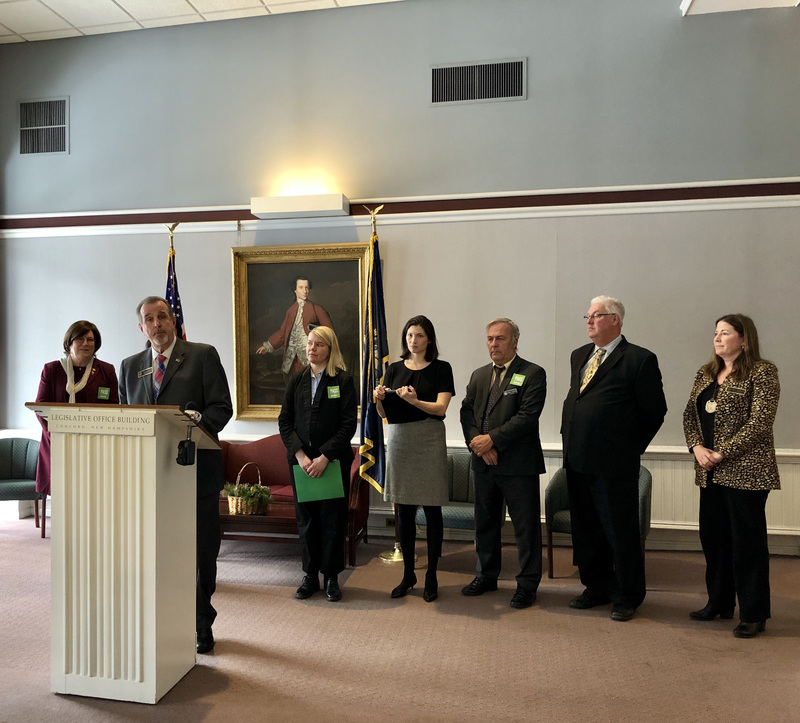 Representatives Ed Butler, Renny Cushing, and Erin Hennessy joined advocates with Freedom New Hampshire at the Legislative Office Building on January 17, 2018. Jess MacFadzen, a New Hampshire State Police dispatcher and Air Force Veteran, shared her story as a transgender woman in New Hampshire.